You are here: Home / coupons / Kellogg’s Family Rewards: 25 FREE Points! Kellogg’s Family Rewards: 25 FREE Points! If you haven’t entered these Kellogg’s Family codes for FREE points yet, many of them are still available! New to Kellogg’s Rewards? 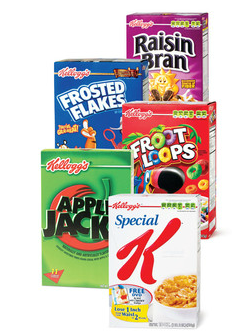 Get exclusive coupons and earn rewards from your favorite Kellogg’s brands when you sign up here. « Cents of Style: Fashion Leggings for $9.97 – Shipped!